There’s a noticeable current trend for injecting fun into the workplace. Some companies opt for table tennis tables in the centre of the office, with more extreme examples such as puppies, ball-pits and slides also being reported. All well and good – work should be enjoyable, and workers are at their most productive when they’re happy – but here at United Carlton we know that what really makes work satisfying is removing the irritants that can make every day so miserable. The modern office is home to a myriad of seemingly minor frustrations, all of which can, either singularly or by combination, negatively influence an individual’s ability to do their job, which in turn affects their mood. Left unchecked, over time this can be significantly detrimental to a person’s job satisfaction, and cause them to conclude that they are unhappy in their role, either seeking employment elsewhere or slumping into under-performance; neither a desirable outcome for their employer. A recent survey that showed that 79% of workers who were questioned said that reliable and modern technology is more important to them than office aesthetics, while accessories such as ping pong tables, slides and hammocks don’t necessarily make them any happier or productive. 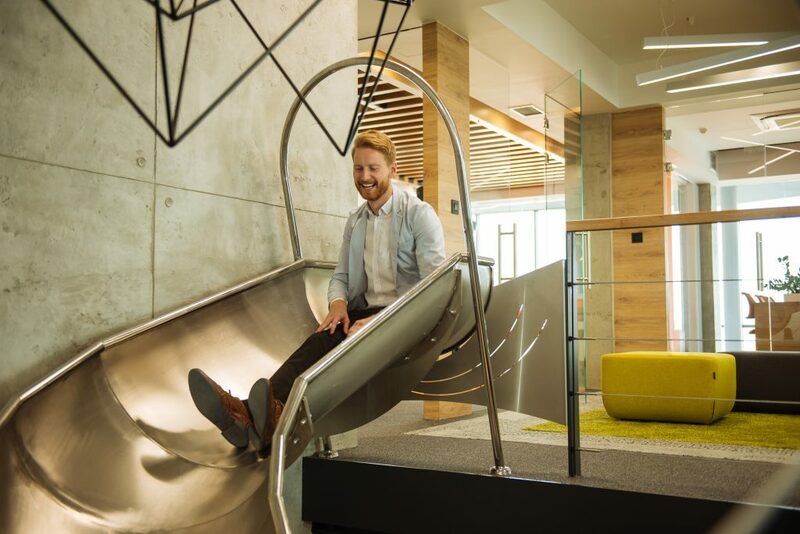 Indeed, surveyors working for storage firm Kiwi Movers found that 86% of UK adults who work in an office said fun features were of no specific value to their working life, 11% said they were of some value and only 3% said they were very valuable. 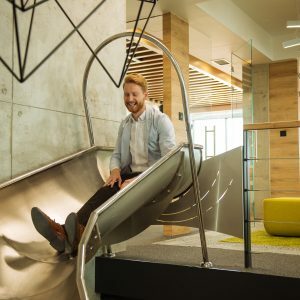 It’s therefore easy to conclude that giving employees access to efficient, reliable and intuitive tools and processes, which allow them to do their job with the minimum of stress, hassle and annoyances, is going to be more beneficial to their mental wellbeing and job performance than giving them a bouncy castle to play in. We think that what employees need is the ability to seamlessly access the information they need and carry out the necessary actions, with user-friendly, integrated processes and systems allowing them to be responsive and proactive. Being able to do what they need to do, free of frustrations and obstacles caused by inadequate hardware and software, and counter-intuitive, time-consuming processes. So if you want to install a soft play in your office, then don’t let us stop you – but don’t expect it to mask the deficiencies of inadequate processes and hardware!